The greatest thing about this is that you don’t have to worry about making an elastic casing because you’re using the elastic fromthe sheet as the waist. WOW! 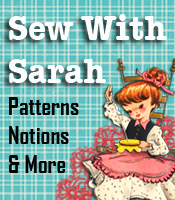 Hannah – this is super cool!!! Thanks a million for sharing. 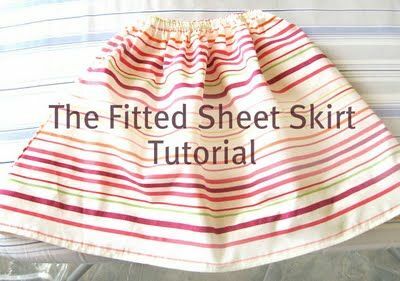 If you’d like to make a skirt pattern using your own measurements so you’ll know that the fitted sheet skirt will fit, you can find a wide variety of skirt patterns (including nice gathered skirts) at PatternsThatFitYou.com.